On the forefront of the green technology movement, EMS is dedicated to the promotion and mass adoption of new energy saving products. Taking what others have achieved and advancing the technology a step farther is our mission and goal. Our high quality, industry leading and rigorously tested products help our customers everywhere save money, reduce consumption and be more energy conscious. 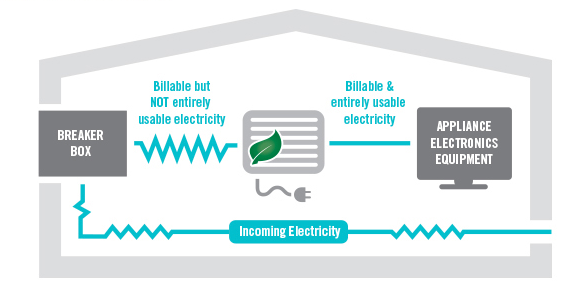 We have combined our advanced energy saving technologies to dramatically decrease the amount of electricity you draw from your utility provider. Externally, the EnergyMizer® features heavy-duty weather-proof construction and a color matched facing which give it an attractive appearance. 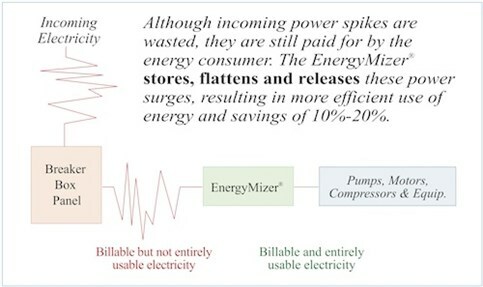 The EnergyMizer® is able to supply the load with constant voltage during the ongoing power surges that happen frequently – resulting in real energy savings of up to 20%. 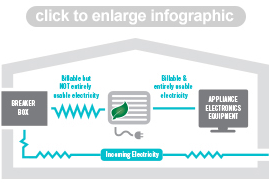 As an additional benefit, the EnergyMizer® also greatly reduces the amount of electromagnetic fields present through the conversion of this non-usable waste to usable power.